The holiday season is right around the corner, and you may be planning on hosting family members and friends during the coming months. If you have a guest bathroom that hardly gets used throughout the year, you may want to hire a plumbing contractor in Frisco to take a look at your bathroom plumbing system. To make sure that your guest bathroom plumbing is ready for your guests to use, you will want to check out the performance of the faucet and toilet. In the event that you find a sewer line clog or other issues in your bathroom, you will have plenty of time to repair the issue before the holidays arrive. Your plumber can make sure that your faucets work and your sink and toilet properly drain. 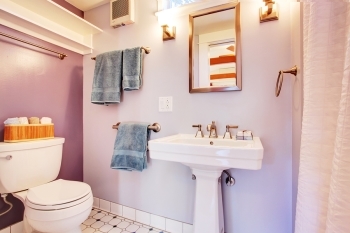 Preventative maintenance in your guest bathroom will help you avoid the need to schedule emergency plumbing repairs in the middle of the busy holiday season.